Denny Jump (Bellevue, WA, United States) on 28 December 2013 in Cityscape & Urban. 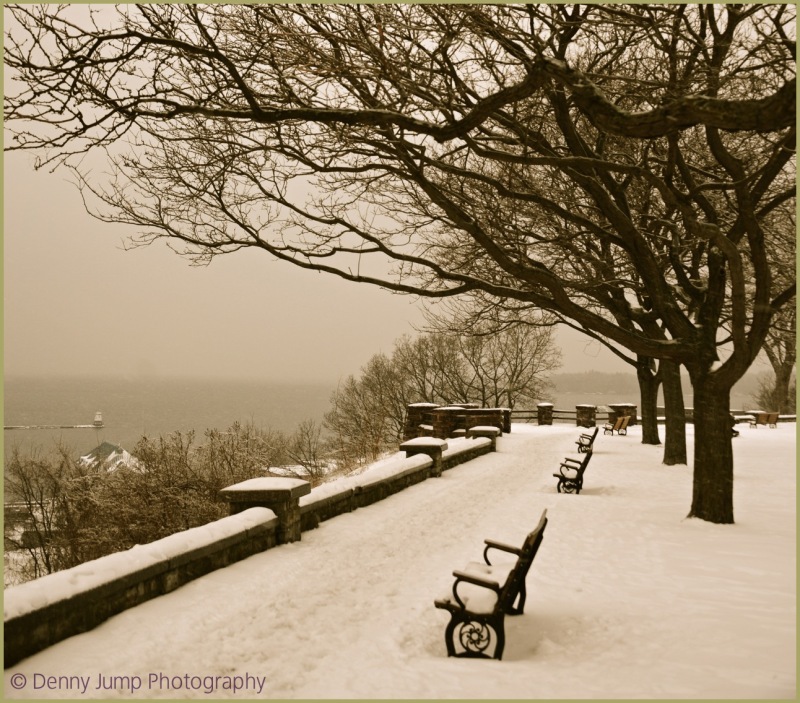 A very cold and cloudy Day at Battery park in Burlington, VT overlooking Lake Champlain. Justin and I enjoyed a short photoshoot before the weather just became ridiculous. I so wish we had some snow too, but it seems this is going to be the most boring winter ever... Just rain and wind all the time. @ursulakatariina: Hi Ursulakatariina - Thank you so much and Thank You for always being so kind and such a faithful visitor during my long stretches of absence - you are very kind! All my best to you and your family for the New Year! I can feel that silence that a snowfall brings . . you caught it here in the image. A beautiful winter mood. I love the shapes go those naked trees. This is just beautiful Denny! It is so quiet and peaceful. Wonderful perspective. I love the benches and the trees. Beautiful processing. 5*! @Elaine Hancock: Thanks so much buddy! It was peaceful and quiet but also dang cold! This is beautiful, Denny. I hope you brushed off the bench before you sat a spell. Hope you are enjoying your time in VT w/family! @Judy aka L@dybug: Thanks Judy :-) I will kindly refer you to my response to my dear sister, above :-) Have a great New Years, you two!!! with beautiful compositon, perspective, tone & lighting! Wonderful peaceful mood … charming winter scene, too!